So maybe you have that pair of comfortable running shoes you bought around the New Year with the intent of running frequently, but in reality you just wear them because they're comfortable. We wouldn’t fault you for that. Nor would we fault you if you wanted that ... (see full details) (see specifications) #RB7005. So maybe you have that pair of comfortable running shoes you bought around the New Year with the intent of running frequently, but in reality you just wear them because they're comfortable. We wouldn’t fault you for that. Nor would we fault you if you wanted that same comfort in your work boots - and you can have it with Reebok Men's RB7005 Brown 6-Inch ZigKick Non-Metallic Composite Toe ESD Athletic Work Boots. These athletic boots from Reebok feature 100% leather 6-inch dark brown uppers. The men's footwear also meets ASTM F2413 testing standards and feature XTR’s extra wide composite toe caps to guard your toes against impacts and compressions on the job site or in the great outdoors. For added protection, these brown boots include two dual resistors that are designed to dissipate static electricity. This makes them have ESD safety qualities. Based on this feature and the fact that these are 100% non-metallic, Reebok specifically recommends these 6-inch safety toe boots to people who work in security. To further add comfort, the interiors of the leather uppers are lined with a moisture-wicking blend of nylon and mesh to keep your feet dry. 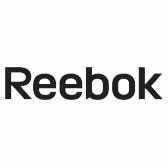 When it comes to these men's boots from Reebok, it's the insoles, as well as the outsoles, of the them that truly provide you with the feel of athletic footwear. The insoles of these composite toe boots feature Reebok’s FootFuel technology. Designed for their high performance athletic shoes, Reebok’s FootFuel technology promises to maintain cushioning and rebound properties for as long as you own these non-metallic boots. For even more comfort, Reebok injected the removable FootFuel cushion with a layer of EVA that provides additional protection and comfort by absorbing shock. For additional protection against the absorption of shock, the Reebok footwear features rigid TPU heel stabilizers, which are designed to target harmful shocks to your heels. Simply put, the insoles will provide you the comfort and protection of their latest running footwear. The outsoles feature Reebok’s ZigTech technology. The 100% rubber ZigTech outsoles are slip-resistant and have a thin injected layer of EVA for bonus shock absorption. What makes the ZigTech outsoles special is their lightweight flexibility that works in conjunction with your feet to provide cushioning, no matter what stride or unexpected step you might take. So much like your underused jogging shoes, ZigTech technology is there on this work footwear to provide you with cushioning and comfort at every step. The combination of the latest technology for athletes combined with the necessary construction of work boots is a positive trend. We recommend you consider this combination because in the case of Reebok Men's RB7005 Brown 6-Inch ZigKick Non-Metallic Composite Toe Athletic ESD Boots, you’re getting the best of both worlds. Reebok Boots: Men's RB7005 Brown Composite Toe ESD 6-Inch ZigKick Non-Metallic Athletic Work Boots is being added to your cart.